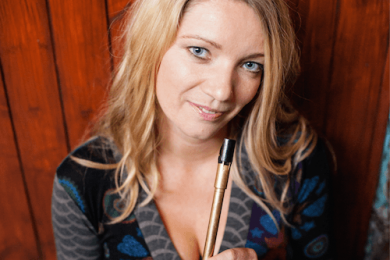 Kirsten Allstaff is one of the founders and directors of The Online Academy of Irish Music. 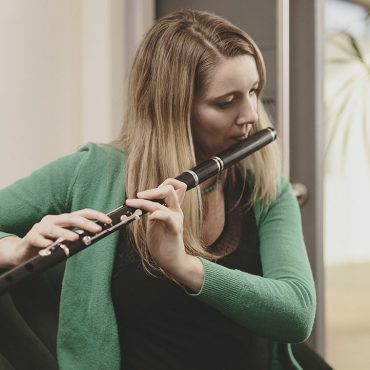 She is an acclaimed flute and tin-whistle player and has played music throughout Ireland, Europe, North America and Asia with various Irish dance shows and group: Gaelforce Dance, Celtic Legends, Rhythm of the Dance, The Fiddlecase and Clare based band Los Paddys De Los Pampas. In 2014, Kirsten released her solo album ‘Gallowglass’. With master instrumentalists John Joe Kelly on Bodhrán and Eoin O’Neill on Bouzouki amongst many others. This album is a blend of traditional tunes from her two homelands of Ireland and Scotland. Originally from Scotland, Kirsten began playing music at an early age. Her father, a singer who also played the accordion and the guitar gave her lots of encouragement. Her mother’s side of the family are from Ireland so she always had an affinity to Irish music and culture. When the family emigrated to Canada when she was 12 years old, she became involved in the traditional music in Ontario. Here she lived, and played throughout her teenage years. At the age of eighteen she moved back to her homeland of Scotland. Upon graduating from the University of Glasgow with an M.A.Honours degree in Celtic Civilisations and Scottish History, she went on to study traditional Irish music at Ballyfermot College, Dublin. Shorty after it’s completion she began teaching and lecturing on The Northern Rhythms Program of Music in Falcarragh, Co. Donegal. 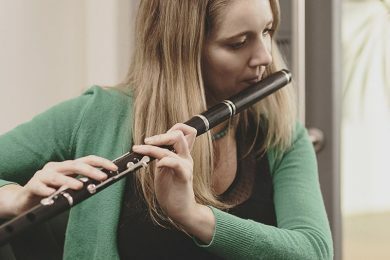 In 2002, she graduated with a First-Class Honours Masters Degree in Traditional Irish Music Performance from the University of Limerick and subsequently began tutoring flute and whistle at The Irish World Academy of Music and Dance. She was involved in early online lecturing initiatives at IWAMD and wrote and facilitated the very first online module to be offered to the B.A. students of IWAMD titled ‘Traveller Music Studies’.